Although our company has grown so much since its founding in 1977, we cannot forget where we came from. We must honour our past while, at the same time, ensuring we focus on the future. By presenting this book, I believe, we acknowledge that approach and all the people who have helped us get to where we are today. In 1977, Joe Flanagan quit his job as manager in a department store to follow his entrepreneurial dream. 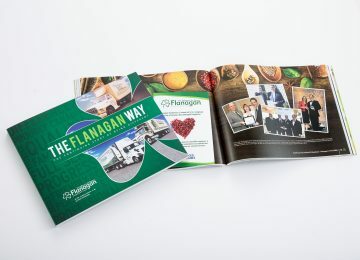 The Flanagan Way, a company history book, anniversary book, and corporate legacy book authored by Dr. Ulrich Frisse and released in 2017, traces the story of Kitchener, Ontario-based Flanagan Foodservice from its founding by the late Joe Flanagan to being the largest independent and Canadian-owned foodservice company in Canada. Over the course of four decades, Flanagan’s has grown from humble beginnings as a food wholesaler to providing full distribution services to more than 6,000 restaurants and foodservice operations across the province of Ontario. Under the leadership of the second generation of Flanagan family entrepreneurs, Flanagan’s has stayed true to its founder’s philosophy of being different through exceptional service. 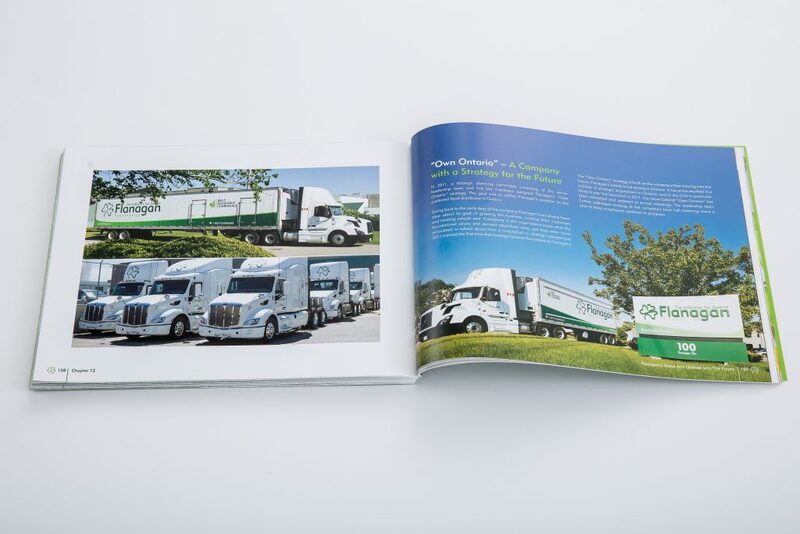 Flanagan Foodservice was approaching its 40th anniversary when the Flanagan family invited us to capture the story of their company in the form of a company history book to be launched at the main 40th anniversary event. The purpose of this company history book project was threefold: to capture the legacy of the late founder; to collect the stories and input of employees, customers, suppliers, and members of the community; and to create an engaging narrative that conveys the notion of successful multi-generational family entrepreneurship through content and images. 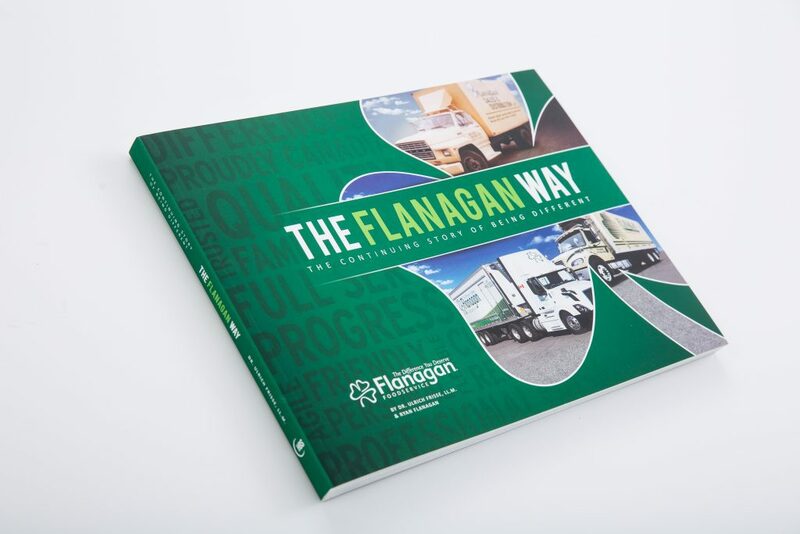 Together with the Flanagan team, we devised the book title to convey both Flanagan’s key value proposition to its customers and the dynamic character of the company. Individual chapters on the Flanagan philosophy and culture, family entrepreneurship, technology leadership, and involvement in the community carry the main theme of being different through the book. In addressing the challenges caused by Joe Flanagan’s passing in 2000 at the young age of 58, The Flanagan Way serves as an illustrative example for the successful transition of a family business under dramatic circumstances and for continuity in values under second generation family leadership. 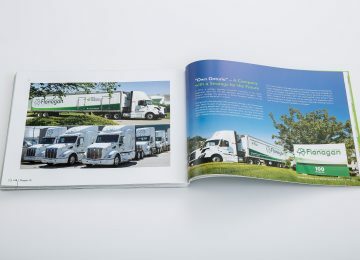 In its broader context, the Flanagan company history book illustrates significant changes in North American society since the 1970s, as new trends in the foodservice industry are reflections of changing consumer preferences. In exploring how Flanagan’s has been able to meet the needs of its diverse customers, the story mirrors these broader trends and changes in consumer behaviour over the course of 40 years. Flanagan Foodservice’s focus on building long-term relationships with employees, customers, suppliers and the community finds expression in a design and imagery that highlights people rather than products and equipment. The shamrock on the cover symbolizes the Flanagan family’s Irish roots. 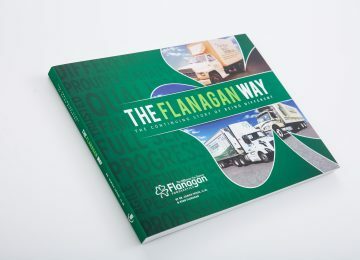 The strategic use of the company’s brand colours on the cover and throughout the company history book reinforces the look of the new Flanagan brand. 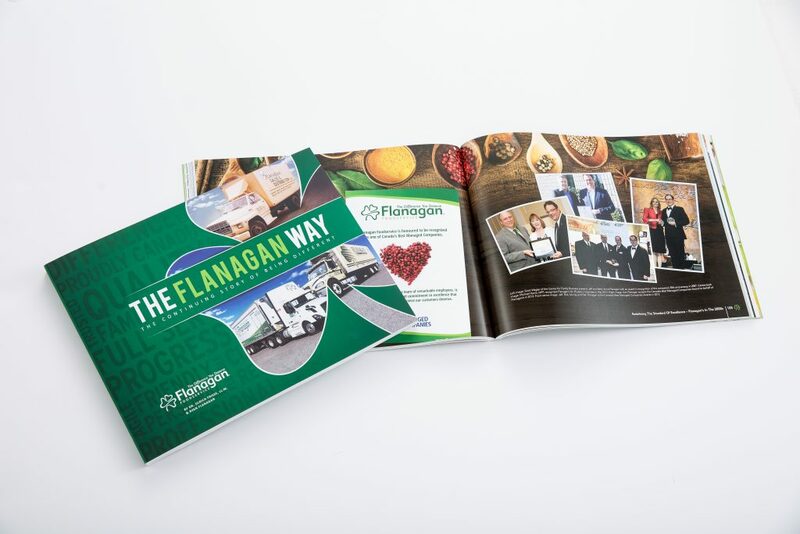 The result is a branded company history, legacy and anniversary book designed by Lesley Warren and the LWDG design team that tells the story of Flanagan Foodservice in its larger industry and community context.